I don’t currently have a pic of the plan because the hubby just drew it up… and it already has some tweaking done to it via our further discussions! Of course, you know how PLANNING goes! You start with plan A and quickly discard that one, as well as plan B and C. When you finally settle on a plan and carry it through, you realize it’s like plan z or something after that! That is why, again, I welcome all your comments, especially from those that have walked this path before! Now, I know you will find this crazy, stunning, and completely off the wall! BUT, what started as a discussion for an improved (but still small) chicken coop, has now expanded into a 30×30 foot building, complete with the main coop, a nursery, a juvenile detention center (for those birds that have turned into juvenile delinquents overnight and want to bully the smaller chick but who can’t quite hold their own with the bigger inmates), a butchering room, a cold room (to hang and rest the meat), a pig farrowing room, and a feed room. There will also be an 8-10 foot walkway down the middle and all pens will have outside access. I may be forgetting a room or two, but I think I’ve got it all down! Pigs and butchering will be on one side, while the chicks will all the other side of the coop, barn, building, oh! whatever it’s going to be called now! And this, or course, takes us to the WHY we are building a new … something! Well, for starters, we do not have an adequate space to do what we would like to do. Second, because the old coop is, well, not fit for a pig! It’s small, it’s dark, it’s ventilated, but not well, it’s hard to clean, and the pigs have torn it up on several occasions, making us have to do some patch jobs. And then there is the dirt floor that I DESPISE having to clean. Ok, maybe that’s the main reason. Because I’m tired of looking at that makeshift coop that we threw together a few years ago just to get started on the chicken stuff. I’ve learned and grown when it comes to chickens since then. This new building wouldn’t be complete without concrete floors AND some much needed ventilation for the birds. I think the hubby wants to put in doors along the bottom portion of the building that are actually covered with chicken wire and the swing open to circulate the air. We shall see how that actually goes. Looks like we are setting production for the first part of June. It should be plenty hot by then so the concrete can dry and then we can start the building process. I’m looking forward to this! 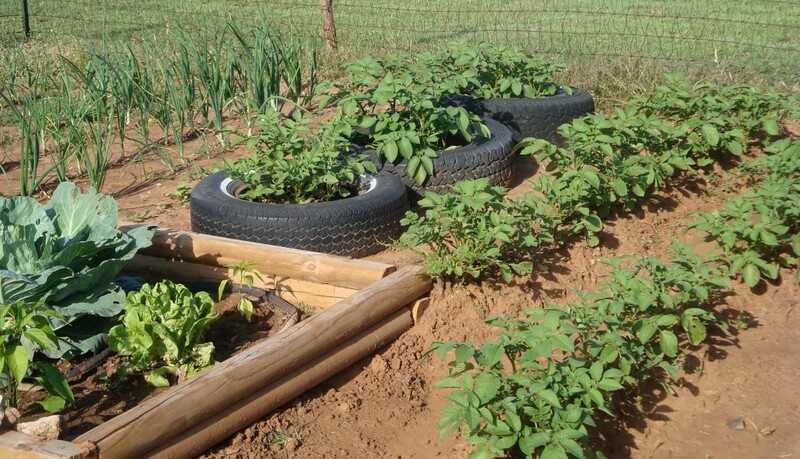 What are YOUR plans for the homestead/farm/etc this year? And what are your suggestions for ours?? Tags: building, butcher, chicken, concrete, coop, farm, farming, homestead, live, livestock, meat, pig, plan | Permalink. Addicted?? ME?!? No, way! Never. . . Well, maybe. . .
Do you have an addiction? Well, do you? Me either. I mean, NO WAY am I addicted!!! RIGHT??!!! I mean, I can quit any time! Right now. Cold turkey. Well, tomorrow might be better. . . I can’t have an addiction. I’m all into the “eat better” craze that’s going on. Not even just eat better, but make and grow better, too! I’m all for eating healthy fats such as REAL butter, lard, etc. I’m all for growing and eating NON GMO foods. I’m all for FEEDING my kids better, including limiting their sugar intake. I’m all for MAKING as much as I can at home with either my own grown ingredients, or buying better ingredients at the store. I’m all for growing, raising, harvesting, butchering, processing, canning our own veggies, meats, and eggs. I’m all for buying local (NO, not your local Wal-Mart!!). But local from the farmer, dairyman, cattleman, farmers market, honey bee rancher, etc., to get the best possible foods I can get to nourish and heal our bodies! I’m for making my own soaps, cleansers, chap sticks, lotions, whatever else I can make to get rid of the nasty chemicals and Lord-knows-what else is in things now days. So, HOW can I have an addiction????? I don’t. I adamantly refuse to believe I have an addiction. Especially to THIS! So, NO WAY. . . Well, OK. Maybe. . . Maybe I do. Ok. You’ve got me! You’ve warn me down. I come clean! I AM addicted! And I know it’s horribly bad for me! I know that I should not do this! I KNOW that it’s probably rotting my insides as we speak and wreaking all kinds of havoc in there. But I just can’t seem to shake it! That’s right. 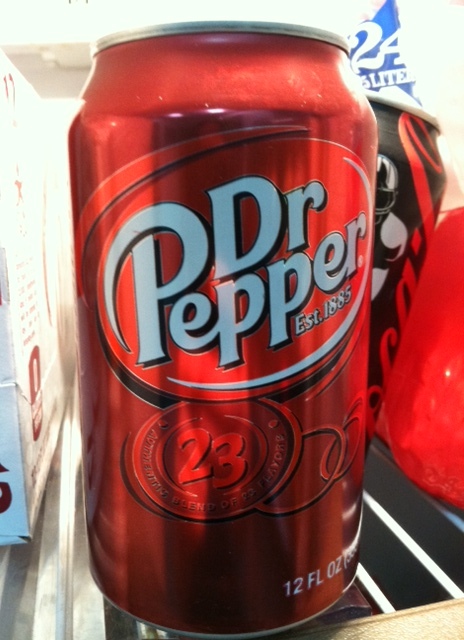 It’s Dr. Pepper!!!! But, it gets worse. It’s not just these in a can! It’s really Sonic Vanilla DP! I know!!! The HORRORS!!! I try to quit. I just can’t! So, I guess you could say I DO have an addiction. Do you have a dirty little secret you’d like to share?? Tags: addiction, butter, DP, Dr. pepper, farming, food, healthy, homegrown, homemade, lard, non gmo, quitter, real | Permalink. It’s all about the BREAD, y’all! 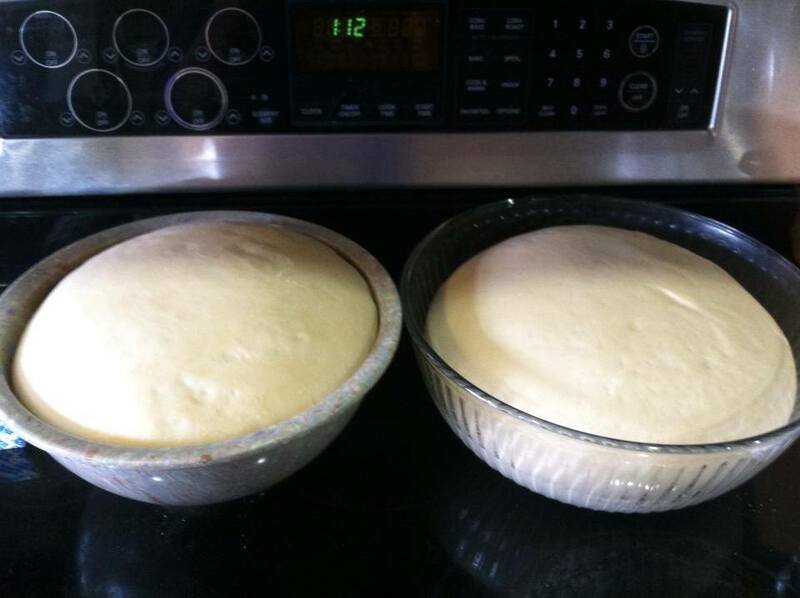 A couple weeks ago I made bread…again. Only THIS time, I made it with LARD!!! Home grown, home rendered LARD!! Not the stuff you buy in the store, but the REAL home grown, hand rendered lard! I’m so excited! 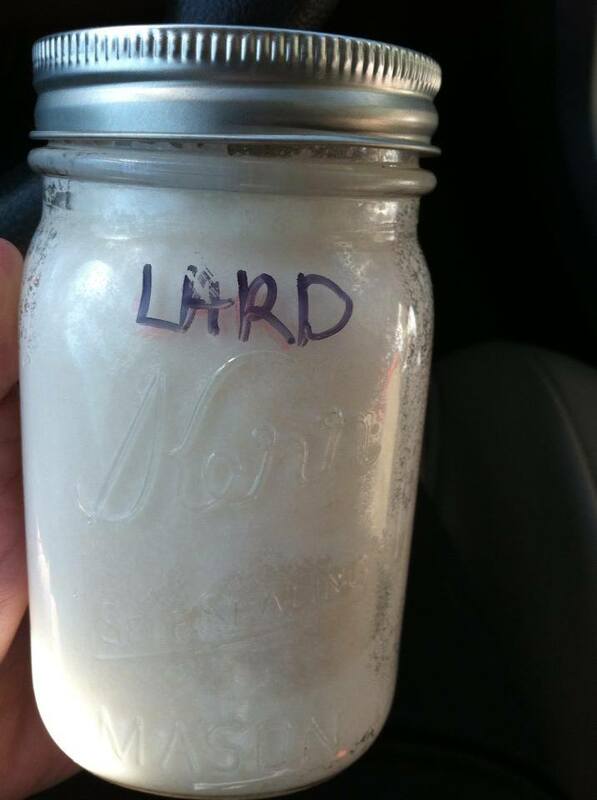 No, we didn’t make the lard…YET! But we intend to make it next time we butcher a pig. Let me tell you, I don’t know what it was: if it was the lard or if I’m just getting really great at bread making (let’s say it was mostly the lard! But, hey! I AM honing my skills are bread artistry! :)) But that was THE best bread I’ve made, to date!!! 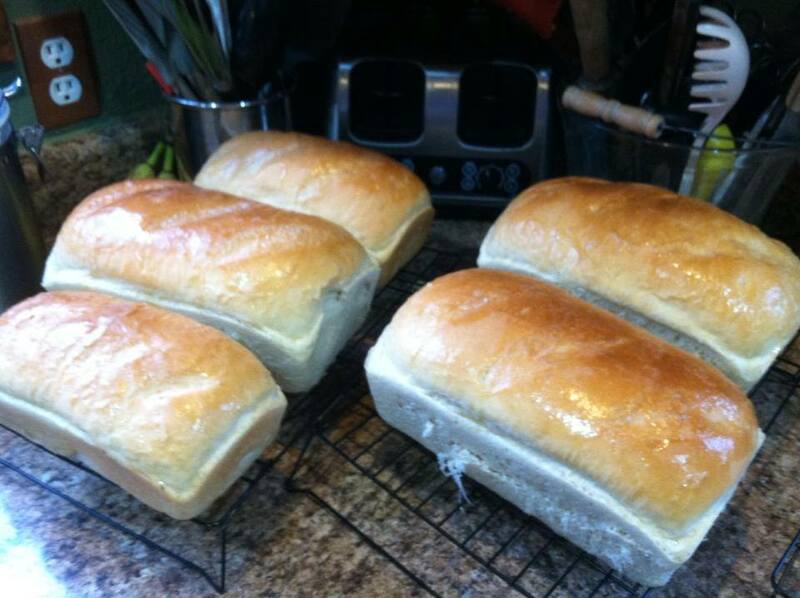 I use nonbleached flour, with other non store bought items when I can. I’d really like to try to see if I can grow my own yeast. I don’t know much about that, but plan on doing some research and see if I can get that going! (See the lard in the corner there?) Who knew how fabulous that stuff was??? Ok, ok. So my hubby did! Then I kneaded it. 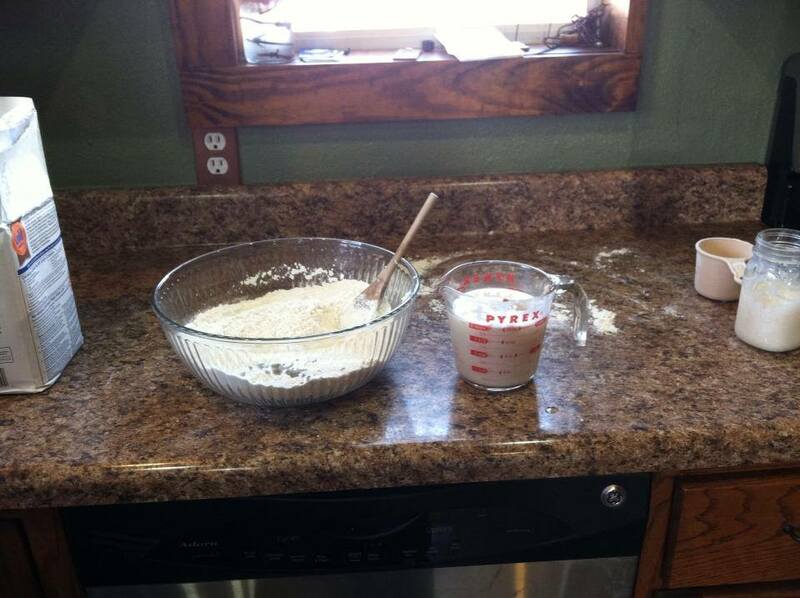 No mixer here! I do it all by hand. I like to FEEL when it’s ready. And after about 10 minutes or so of kneading, it feels about right. Time to let it rise the first time! After the dough rises the first time, it’s time to punch it down a bit and knead it just a bit more to get the air bubbles out. Next is my favorite part: other than eating it, of course! 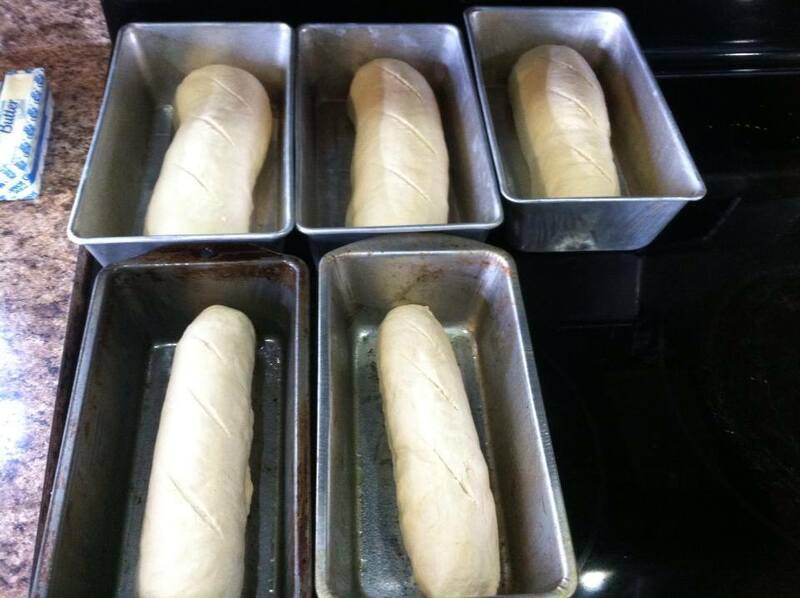 Time to shape it into loaves!!! After this rises one last time, it’s time to bake!!! And after about 30 min or so in the oven, it’s time to EAT!!!! My VERY favorite part!!! And just in case you were wondering, it was HEAVEN!!!!! Soft, warm, chewy deliciousness! OMG!! And top that with some homemade butter??? WHAAAAA??? My mouth is watering just thinking about it.. May have to take a day off for, uh, *cough, cough* may be I’m getting sick?? Ok, maybe not, but that bread is THAT great!! !